Berlinica Publishing LLC, 9781935902409, 104pp. 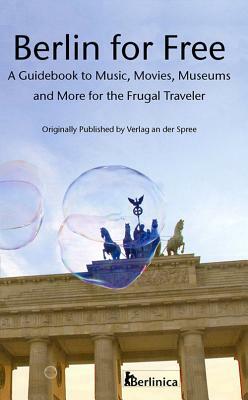 Discovering Berlin has never been easier with this invaluable guide for the frugal traveler. This book has neatly arranged the best no-cost opportunities for kids and grown-ups alike. A wide variety of easy-to-find activities such as concerts in the park, films, tours, exhibitions, sporting events, and street fairs are included. More than 200 up-to-date addresses, phone numbers, and websites that have been fact-checked round out the useful information. Monika Martens is a freelance writer who has a background in social and business communications. She lives in Berlin."